A massive fire is currently raging in Surulere, Lagos State. 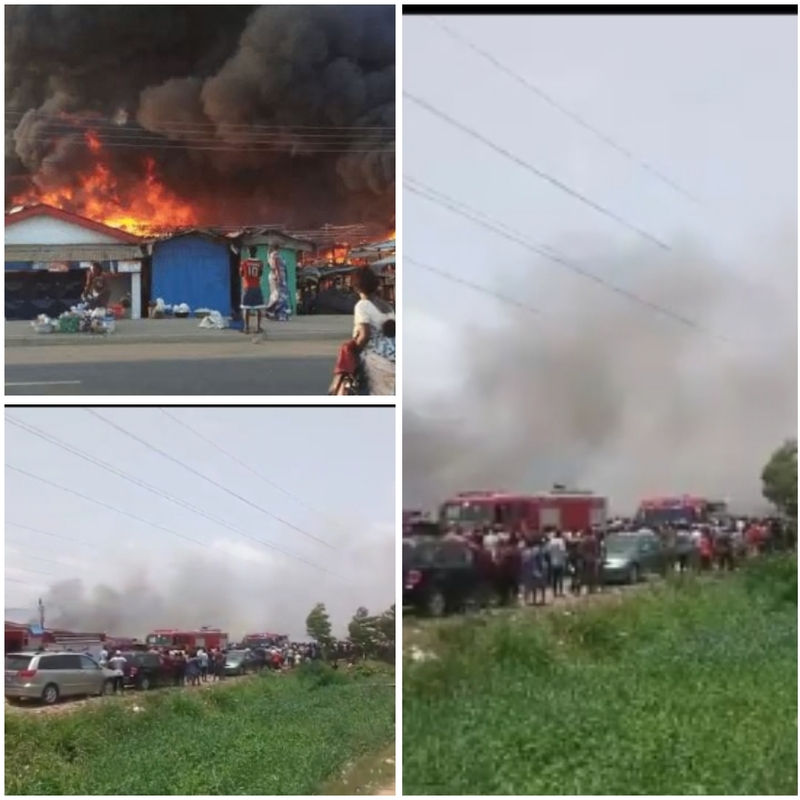 According to report and footage shared by online user, the fire began after an explosion near Census Market area of Surulere this afternoon. Fire Service officials are currently at the scene of the incident, trying to put out the fire. At the time of this report, there was no report of any casualty.